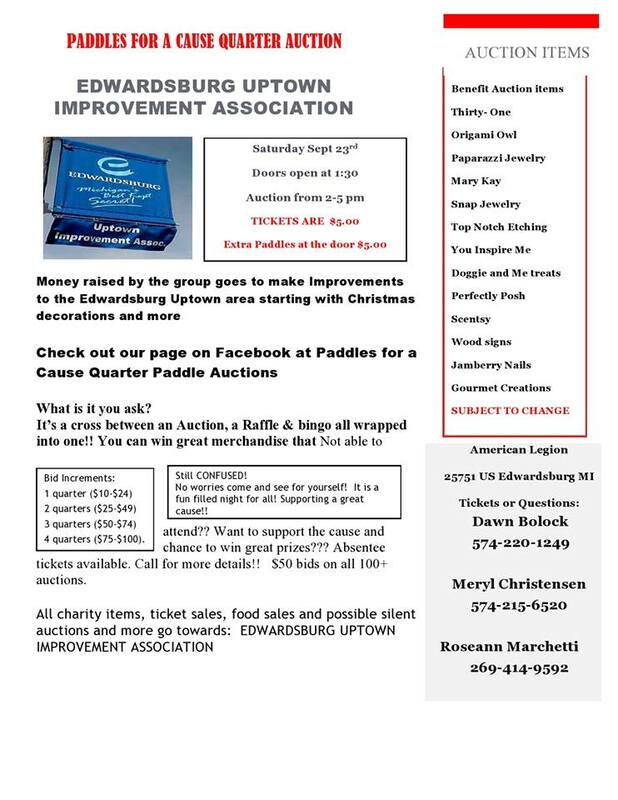 September Auction will be in Edwardsburg at the American Legion on Saturday, September 23rd, 2-5pm. Tickets will be available at the Wednesday August 23rd auction in Niles for Colleen Barkman. Tickets also available at Edwardsburg Village Hall and Ontwa Township Hall.